Debra is a native New Yorker who made her escape to the suburbs. She often visits her hometown to visit her favorite deli for a bagel with butter, because there’s no better bagel than a New York bagel. 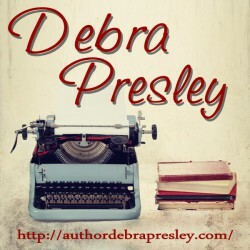 When not in search of bagels, Debra spends her time running Book Enthusiast Promotions, an online promotions company that helps indie authors spread the word about their books. She’s also the owner of The Book Enthusiast blog. She started writing lyrics in her wall-to-wall NKOTB bedroom at the tender age of thirteen while dreaming of the day she’d become Mrs. Jordan Knight. That dream never came to fruition, but she has continued to write.